There are extraordinary things happening on this photo wallpaper. The sun beautifully filters through each small element of a defenceless dandelion. Little seeds of the plant sparkle in the sun. 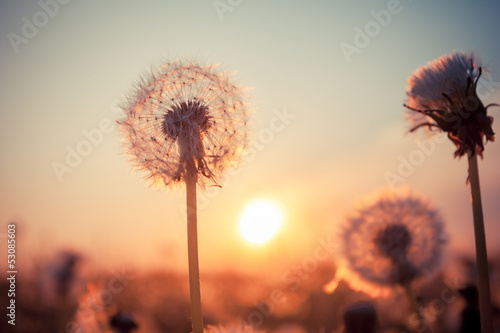 Depiction of the dandelion in the setting sun will impart a touch of romance, nostalgia and lightness to the interior.